The lady asking this question isn’t personally on social media all that much. She was asking for work and she hadn’t posted to any of the business’ social media accounts for six months or so. This is much more common than you might think. If you’re in the same situation, I’m going to help walk you through creating a document that’s going to completely answer that question for you – for the rest of this year. You will never have to think “Oh Jeez, What do I post on social media?” again! What we’re going to create is what I call an editorial calendar. It’s a plan for the year and days of the week we’re going to create in advance, so you stay up to date and have a record of what you’re going to post. If you don’t have an editorial calendar, following this plan, it will take you, I would say probably, 15 to 20 minutes to sit down and create that calendar. The 15-20 minutes you spend today will pay off in dividends. Trust me on this one! First thing you want to do is grab a calendar, whether it’s paper or electronic, and take a look at all the holidays that happen every single year. I mean, we all know the obvious ones around a typical holiday season. There’s smaller ones like St. Patrick’s Day that you might want to incorporate. Once you populate your Excel spreadsheet with all the holidays that are happening in every single year, you’re already going to have so many more things that you could possibly post about on social media! Then, I want you to take it a step further and take a look at the news and events that are happening internally within your company. Perhaps you would attend a trade show every single year at the same time. Perhaps it’s your really busy season every single year at the same time. Perhaps there’s deadlines that your customers need to know about every single year at the same time. Second thing I want you to do, is start thinking about taking behind the scenes photos. Put it in your calendar once a week to spend a few minutes taking pictures. People love photos of other people so take photos of your staff, your customers if they’ll let you. Post it on social and just do a little introduction as to who we’re looking at here. This helps people to know, like and trust your business by providing a little bit behind the scenes. Similarly, if you can’t get anyone to pose for a photo you can also just take pictures about what’s going on around the office. Perhaps someone dropped of donuts or perhaps your parking lot is icy. Seems again, like a little bit of an overshare, but this is the type of stuff that happens on social media, and again, will get people to know, like and trust you. Then, I want you to put yourself in the shoes of your prospective customers. In the case of, say for example, you are a contractor, your customers care about making their homes look good. Perhaps you could share tips and trends about interior decorating or landscaping tips or trends in lighting. Stuff that’s going to be valuable for your customers. Social proof is the phenomenon where people make decisions based on the decisions that other people have made. By sharing testimonials and reviews on social media, you convince other people that you’re a trustworthy business to do business with. Even if people are not posting these reviews on social media, you can go into your email and screencap those awesome comments you’re getting and share those on social as well. Put it in your calendar once a week to spend a few minutes gathering and posting testimonials. Say, for example, you’re a drywall company, you can share educational things like, what people need to know before they shop for a drywall contractor. Perhaps any safety information or certification that’s updated and going on. Things like that will really help you to fill up that content calendar with thoughtful, themed content each month. Once you go through this process once, I promise you will have an editorial calendar that will be fantastic and work for you perfectly. If you like this article, please share with your network! Please, a moment of silence for the business-to-business social media networking site LinkedIN. Facebook announced recently it’s jumping into the job seeker’s marketplace, which was the reason that LinkedIn came to be in the first place – so job seekers could connect with employers and vice versa. Now, Facebook is going to start letting employers actually post and advertise jobs on the newsfeed of Facebook. Because pretty much everyone’s on Facebook I think they could have a real impact on LinkedIn’s market share. Hockey analogies aside, sInce LinkedIn was purchased by Microsoft I’ve been pessimistic about LinkedIn. I don’t know about you, but my experience with Microsoft has been absolutely terrible. It seems like their business model is going to take the LinkedIn contacts that you have and try to integrate them with the contacts that you have if you’re using Outlook, and to encourage you to continue to use Microsoft’s software. I don’t know about your experience, but Outlook actually just, yeah, killed my computer, so I switched to Mac. Historically, I love LinkedIn in terms of a lead generation source and to get me in front of the people that I am trying to market to, because of course, I’m in the business of helping to other businesses. Since the acquisition, If you’ve been posting to Pulse, which is the LinkedIn blogging feature, you may have noticed that only a fraction of the people can actually see your blog posts than before. Reach has declined, which means you’re not going to get as much exposure to your target audience as you would have before Microsoft took over. Alignable, the rookie, might take it away! Alignable is a relatively new social media networking site for businesses to connect with other local businesses and network within those local groups. I’ve been on there playing around for a couple weeks now, and you know, I have to say, I really like it. There’s an ease of use that’s there. You can promote your business for free. And so far, I’ve had a lot of success with it. Their customer service representatives have reached out to me via email and other platforms – amazing! These three points are just a few reasons LinkedIn is going to end up dying. Do you use LinkedIn right now for business-to-business marketing? Have you been doing it in the past and not so much now? Are you going to use Alignable? Please weigh in with your comments below. I’d love to hear what you have to say about my prediction. Thanks so much for checking this post out, and you can visit me on my website or YouTube for more online marketing tips at www.laurelannestark.com. You know how to advertise on Facebook already. Click boost post and you’re done, right? 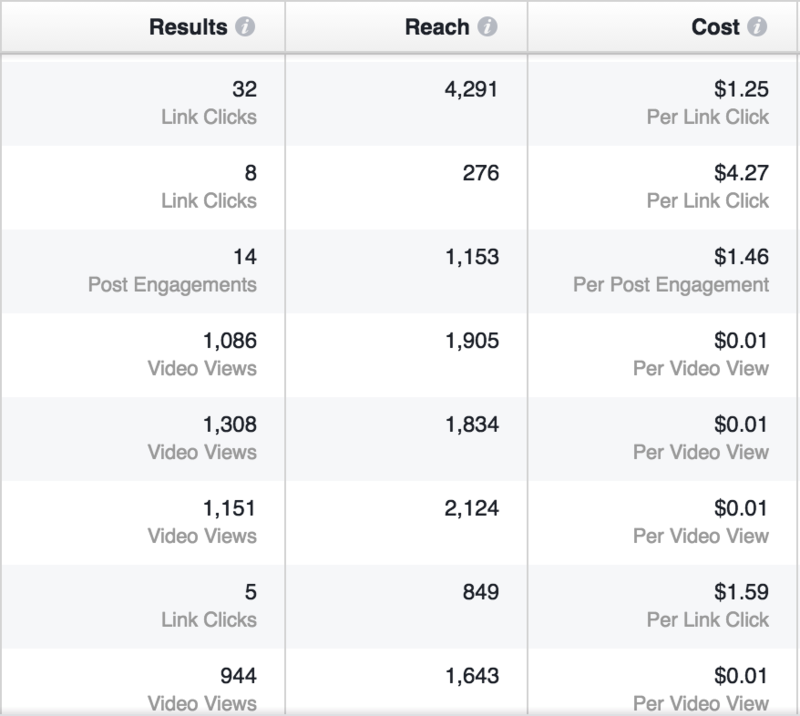 Facebook has done a brilliant job of making it easy for small businesses to spend money on ads. 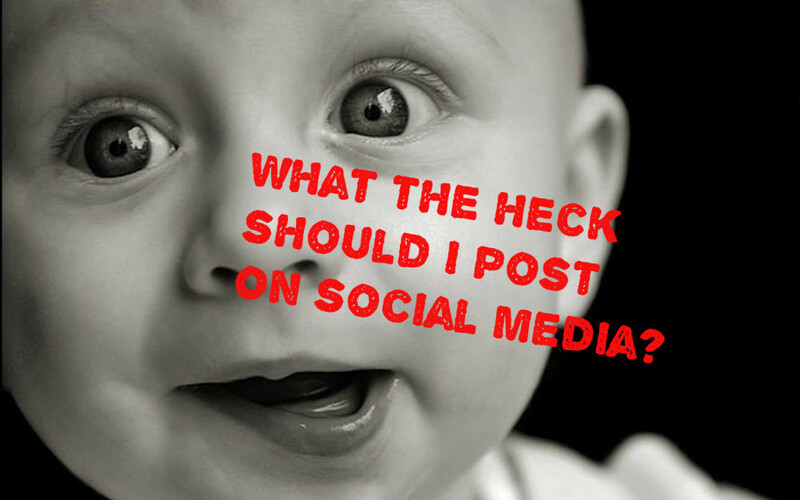 The trouble is, boosting your business page posts may not be providing the results you’re looking for. 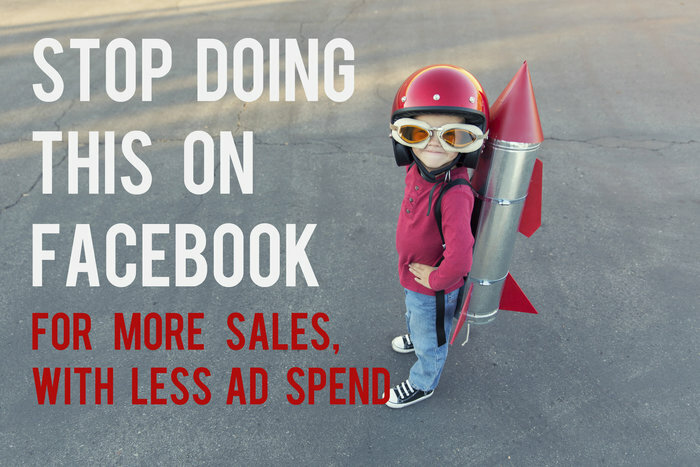 Here’s some things you didn’t know about Facebook advertising that are going to help you skyrocket your sales this holiday season. In all seriousness, the power editor offers a robust control panel for managing, and getting better results from your ads. In fact, it’s a lot less expensive to advertise on Facebook using this tool. 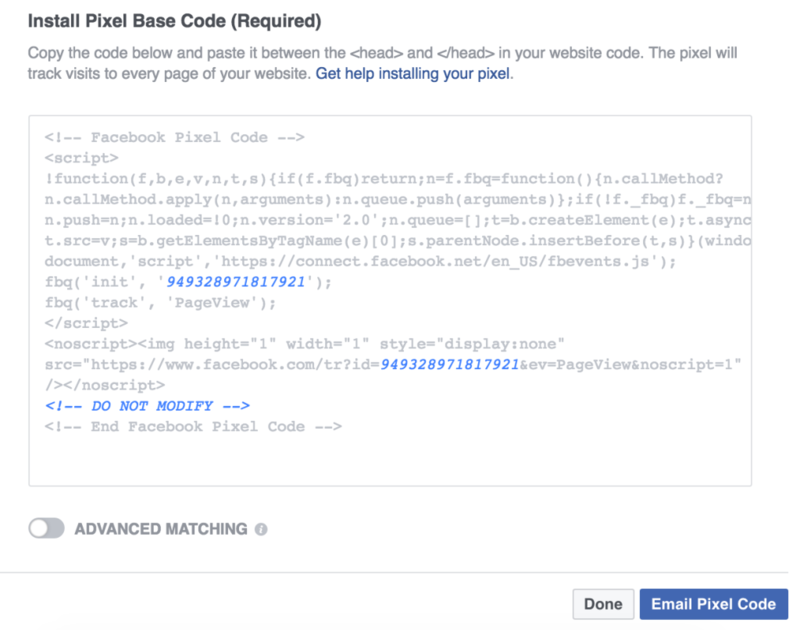 Retargeting using the Facebook Pixel. Retargeting is advertising to people who have already been on your website. You may notice ads from bigger brand tend to “follow you around” online. This is retargeting and you can do this too! People who have already visited your website are a lot closer to buying what you sell than people who have no idea who you are. Advertising to this group may produce a better return on your advertising dollar than a group of strangers. Login to powereditor by going to facebook.com/powereditor and on the top left click on the 3 lines. Last step, under Actions, click on View Pixel Code. Copy and paste the code that displays and embed it on your website. 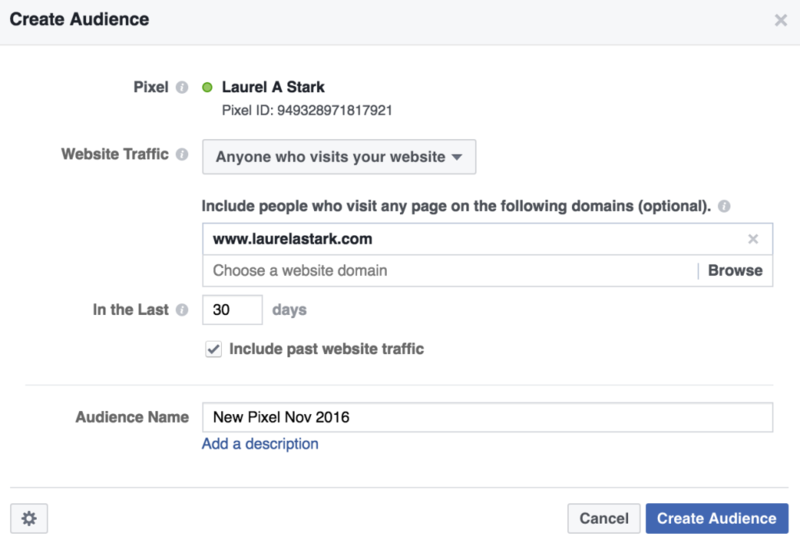 Once the Facebook pixel is embedded and working properly, you can track visitors to your website, and then advertise specifically to website visitors on Facebook. TIP: It can be a finicky to get this pixel to work – you need to check back in with the power editor and make sure your pixel has a green dot next to it before you can advertise to this group. 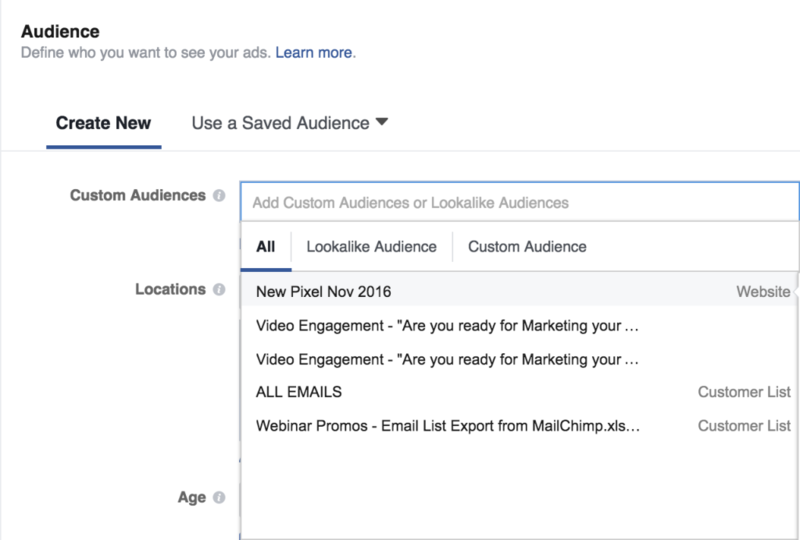 Setting Up Hyper-Targeted Facebook Ads. You can target your ads very specifically using the power editor, which is great! The more closely you zero in your target market, the more affordable your ads will be and the bigger impact they will have. If you’ve done any work with me or anyone else to develop your Customer Avatar, or Buyer Persona, this is where that work will come in really handy. Let’s walk through creating a new Facebook ad using the power editor. You’ll notice on the left there are three sections, Campaign, Ad Set and New Ad. If you’ve done any work in Google Adwords, this will be very familiar, but if it isn’t…read on! What I want to focus on here is the Audience options, under Ad Set. 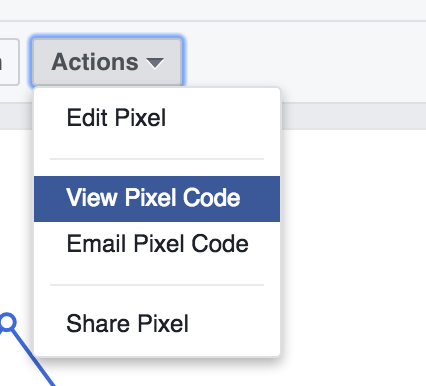 Remember that Facebook pixel you just embedded in your website? This is where it comes in handy. Under Custom Audience, this is where you can select people that have been to your website before. You’ll notice in the screenshot, that the pixel I just created shows up here. By selecting this Pixel, you’ll target this ad campaign to people who have been to your website before. This option alone makes the power editor that much better than boosted posts. Under location, be sure to check “people who live in this location” if that’s important to you. If you’re not comfortable using retargeting, don’t have a website or just want another targeting option, lookalike audiences might be for you. Just scroll down a bit more to detailed targeting, where things can get even more fun! Here, you can create an audience based on their stated interests on Facebook, or other pages they like. So, again, think about what Facebook pages your target audience would already like, or interests they have. Type in and select these interests until you’re satisfied you’ve got a good match to your prospects. If you’ve done your homework, and know what your customers are interested in or care about, you can explicitly target the people most likely to buy from you, and skip the generic targeting available with boosted posts. Usually, I create a few ads, one for each audience type and measure them against each other to see which one is the most effective. One of the reasons I love online marketing is that you can get exact data on performance, almost immediately. If you offer online shopping, be sure to offer a coupon code in your ads so you can get exact reporting as to what ads resulted in sales. If not, you can still get decent numbers from the ads manager. Here are some of my numbers. I LOVE that I can get video views for a penny. There’s not much that you can get for an extinct coin these days! Do you think you’ll try Facebook editor after this? The first rule of business is make money. Whether it’s donating a certain percentage of profits to charity, organizing staff volunteering events or committing to being “green”, doing good doesn’t always make the high priority list for busy entrepreneurs. Business owners focus on ensuring profits are good and operations are going smoothly before considering any altruistic programs. This is called a transactional business model and it’s a common way of doing business. Essentially, someone buys a product or service from you and they give you money for it, and that is it. But studies are showing that transactional businesses are facing a growing disadvantage. According to a survey by Goodmustgrow.com 30% of respondents said that they expect to increase the amount of goods and services they buy from socially-responsible companies and 60% of people said that buying goods from socially-responsible companies is important to them. The world is getting smaller, and we are all feeling the impact of things like environmental disasters, refugees, wars etc. and it’s becoming more and more important from both a fiscally and an ethically responsible perspective to make sure that your business is a force for good. The alternative to a transactional business model is a transformational business model. A great example of a transformational business is Tom’s Shoes, they’ve got what’s called a triple bottom line. That is, impact, amount of people served, as well as profits. If you’re not familiar with Tom’s Shoes, every time you buy a pair of shoes they give a pair of shoes to a child in need. I’m asking you now, how do you think that you could use your business as a force for good in the world, and turn it into a transformational instead of a transactional business? I’d love to hear your thoughts. If you like this video/blog post please “like” it, and consider sharing it with your network. 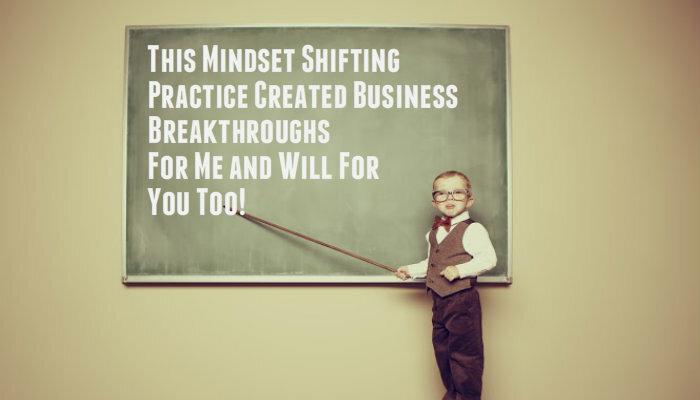 This Mindset Shifting Practice Created Business Breakthroughs For Me and Will For You Too! Hey folks, Laurel Anne Stark here and today I wanted share with you a new tactic I learned recently that helped me generate absolutely incredible amazing results in my business. This is a bit of a departure from what I normally talk about, usually I talk about the external game, like the tactical things you can do to market your business online so you get better results. And that’s not what I am sharing today, and I’ll tell you why. Everything’s great in my business. I’ve got lots of clients. I love them, they love me, everybody’s happy, making money. I can take time off. I’m not working 60, 80-hour weeks anymore, so that’s great, but what was happening is I was waking up every morning, and I was feeling kind of stressed out, nervous, like I’m not going to be able to get anything done, and who do I think I am,and I should be farther ahead by now, and I’m not going to be able to take as much vacation as I want, and I should be making more money, and blah blah blah blahblah, all this garbage in my head. It was happening for months, and I was getting kind of bummed out because the results in my business were being impacted by this constant criticism, essentially, inside my head. I knew the value of strategic planning, and thinking things out, and being very cerebral, but when it comes to the part of the brain that you don’t really control, that subconscious place that tries to keep you safe and comfortable, I didn’t really know how to manipulate that area of the brain, until now! I’ve never had something be so effective. And I have all my marketing systems set up. I have my sales funnel, I have my social media, blah blah blah. I’ve worked and refined that stuff over the last 13 years so it’s working and I’m getting new leads all the time, everything’s great, but with the shift in mindset that was created by repeating these affirmations, I was able to increase my confidence, I was way more productive because I wasn’t stressed all the time, I woke up happy, and I was able to generate substantially more revenue in a substantially shorter amount of time than I ever have in my entire career, and I really do attribute a lot of it to the inner work that I’ve been doing. this with people. I really, really have to share this with people. Here’s what I did for eight weeks. I repeated the following affirmations to myself every single morning before I started work. I recommend you do the following and see what kind of results you get in your business, and please share with me, I’m so excited to hear how this works for you. Simply repeat these out loud to yourself, and you’ll reprogram the inner critic part of your brain to be wired for success! I release the need to be perfect, I know making mistakes is part of being successful. I’m in the process of creating business of my dreams. My best is good enough. There is always enough time. I love coming up with creative ways to provide value for my clients. I’m learning how to be more effective marketing my business every single day. I am unique and valued for who I am. I’m making great progress every single day. I’m in the process of achieving my financial goals. I am desired and people want to work with me. I provide tremendous value to my clients. I’m getting better at my business everyday. I attract the right clients at the right time. My time is valuable and I’m okay with saying no. I deserve to be financially free. It’s safe for me to go offline and take vacations, I trust that everything will be just fine while I’m gone. I’m okay with being outside of my comfort zone. I release any self-limiting beliefs about my income potential. It’s okay to make more money than my parents. I’m doing important work in the world. I will make my money goal. I take the time to be present during my day. I eat healthy foods that nourish me. I say no when it doesn’t feel right. I’m really proud of my progress. I provide value and people want to hear from me. I take control of my schedule and prioritize my time effectively. I’m learning how to use technology to benefit myself and my business. I accept that fear is part of growth. I’m committed to getting my work done. I take breaks when I need them. I’m going to rock it today. Again, I recommend that you check this out and try doing it every single day for even 21 days and see how you feel… please share your experiences with me! If you like this, please like it and consider sharing with anyone you feel would benefit from this practice. I never think about dusting – unless I notice it hasn’t been done. Just like unsightly cobwebs and dust bunnies can compromise the feeling of comfort in your home, outdated online profiles can mar an otherwise flawless experience with your business online. If you’re anything like me, you don’t exactly look forward to spring cleaning, but you will get some satisfaction once it’s been done. Now, I am certainly not perfect. I get emails at least once a week letting me know a link is broken. But that’s just being human. 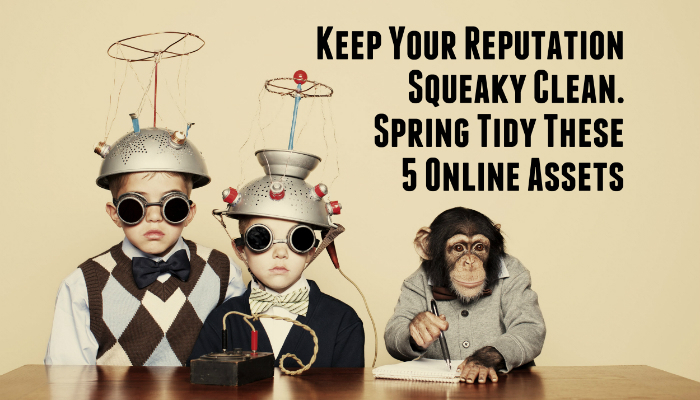 Here are the 3 web assets you’re going to want to spring clean. Directory Sites (Yelp, etc.) To get a full list, Google your name or your company name. The wise Mari Smith says, if you’ve gained or lost a bunch of hair or weight, you need to update your profile pic on social media or blogs ( I use Gravatar for my image on wordpress). I had coffee with Vince Fowler he other day and we had an amusing conversation about ridiculously outdated profile pictures. 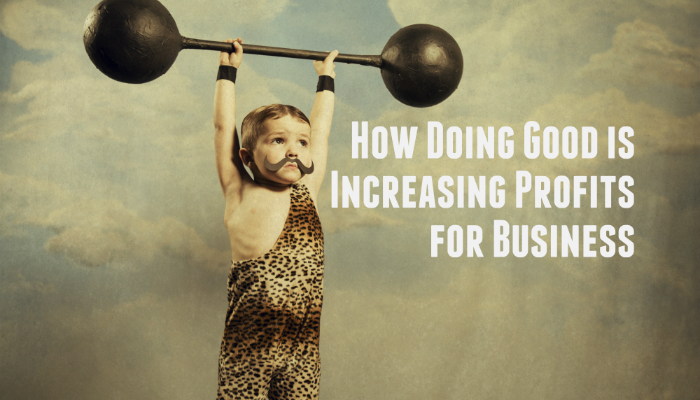 If you’re a solo or micro entrepreneur, your business may have trouble keeping up with you. As you evolve, your business will naturally as well. Chances are the “about” or “profile” section on your social media and directory websites could use an update to better articulate who you serve and the problem you solve. The tabs section on Facebook – where you can integrate your facebook page with your email list or other promotions, may not be working. In fact, more often than not, this section is broken. The dimensions if these images on social media especially tend to change fairly frequently. Check to make sure the banner or timeline image that you uploaded in the past, still fits within the recommended dimensions. For extra points, update this image if you haven’t in some time. Keep it fresh and keep your community interested with the most up to date version of your business. Tending to broken links could very well be a full time job. Go through your social properties and your website and click on all the links and make sure they still work. Update all the ones that don’t. Are you using a call to action yet? A call to action is a very clear request to perform the next step to convert your viewer to a customer. Whether you’re offering a free demo, consult or want to invite people to call you, make sure you’re have a clear call to action. You can’t get a yes if you don’t ask! There’s a new(ish) button for Facebook pages to create a “call to action”, like Learn More, Call Now, or Watch the Video..
As my friends Sue Ferraira and Trisch Lorren will not hesitate to tell you… Video is the most powerful way to tell your story in today’s marketplace. It’s a virtually instant credibility boost, improves brand memory, connection and trust. For a do it yourself option, use the built in video capabilities of your smartphone to film a quick intro video and post it everywhere. Here’s a link to one of my intro videos. FYI this was filmed on my iphone. If you’d prefer to get a professional to help, or don’t like the idea of showing your face on video, consider an animated explainer video or a professional videographer. What else should be added to this list of web spring cleaning? If you found this valuable – Please LIKE it and consider SHARING with your network. If you want to get sales from your social media efforts, then you are certainly not alone! The time and money you’re investing in your social media efforts can and should be profitable. 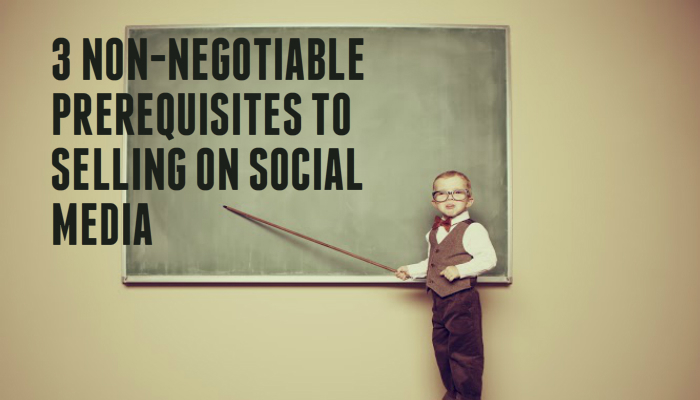 If you’re not quite there yet, I am going to share with you 3 of the non-negotiable pre-requisites for successfully selling on social media. These may just be the missing pieces to your social selling strategy. Build Trust: People buy from those that they know, like and trust. You need to build trust online in order for people to even consider purchasing from you. Be consistent in how often you’re posting, what you’re posting and what all your social profiles and website look and feel like. You’ve got to create a consistent feel to alleviate the subconscious niggle consumers get when things just don’t feel right. If you’re part of any associations add those logos to your website as well. They will act as an implicit endorsement of your services. Building social proof using the above mentioned tactics are one of the most powerful ways to help build trust, and can often be the factor that tips a prospect over into a customer. Build Community: Get exposure, generate credibility, trust. Every single time someone likes, shares or comments on your posts on social media, they’re implicitly endorsing you. 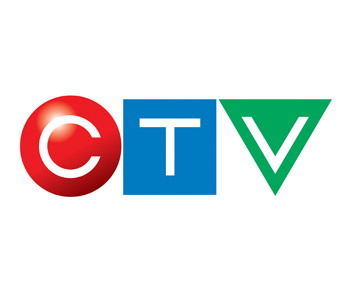 In plain language, this means they’re telling their network “this guy isn’t so bad”. What’s also happening with each share, retweet, plus one or comment is that interaction becomes part of the news feed. And now your name is now getting additional exposure to the network of the person who interacted with your share. For these reasons, it’s a great idea to build community by “giving to get”. Sharing other’s posts, commenting on other’s posts and actively promoting other people with invoke the law of reciprocity and incentivize the people you’re interacting with to interact with you back. Once you have an engaged community, you can then promote yourself. You need to have a call to action in order to get people to, you know, act. Whether you want people to sign up for a free trial, contact you for a consult, sign up for your newsletter, go to your website or watch more videos – whatever it is you need to ask people to take that action. It’s an old saying in sales – you can’t get a yes if you don’t ask. What’s important to remember though, is you will likely need to ask people to take a few actions before they’re ready to buy, so start small. Ask for the action and as long as you’ve built trust and community, you will get it. If you like this video please like it and consider sharing with your network. Fact: It’s easier, faster and more cost effective for you to sell more to less people. The least expensive sales for you to acquire are those from your existing customers. 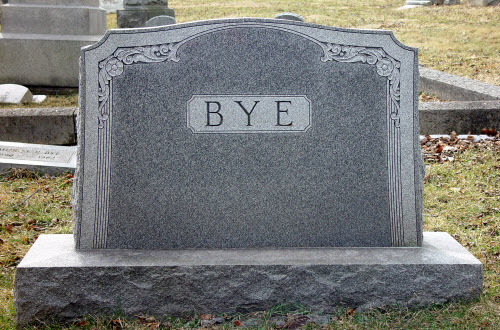 According to Hubspot, it’s estimated you will lose 14% of your clients every year. Imagine if you could not only increase your client retention rate, but get them to spend more with you? You can generate up to 20% more in sales, just by increasing your repeat, add-on and follow up sales. 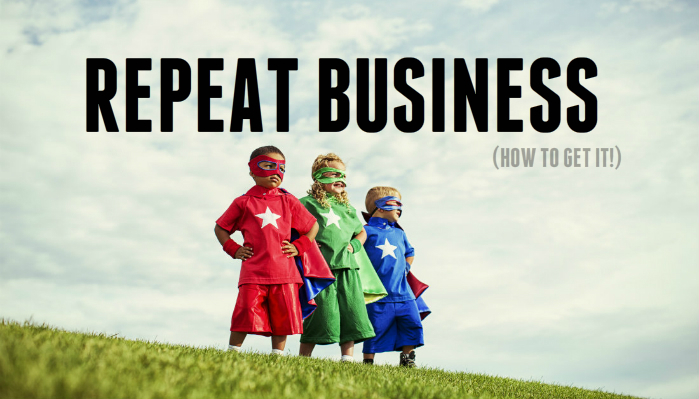 Follow this 5 step process in your business and watch your bottom line bloom! Did you know the moment after purchase is one of the most emotional for your customers? When someone buys something from you, they’re going to either experience buyer’s remorse or they’re going to be super happy that they just purchased something. The way to make sure that they’re super happy don’t have remorse is to give them something right away. This is especially important if what they purchase is a service or something that is going to take a while for you to deliver. Something as simple as a client handbook or even a little gift can go a long way to making sure your customers feel happy through the entire process of interacting with you. The second thing I always recommend that you do is send out a thank you card. Appreciation goes a long way. You might even want to tuck a little coffee card in there or a gift certificate for dinner and a movie for two. Giving a little bit of appreciation for their business will certainly make them feel good about doing business with you. It’s simple, it’s easy, it doesn’t cost anything and it goes a really long way to keeping your current customers happy with you. Now during the process of them interacting with, you whether it is a product or a service that they are purchasing, I want you to make sure that you are doing something to over deliver. Give them a free upgrade, anything that they are not expecting that is of value to them. And this will boost their satisfaction through the process of doing business with you. Once the process is over and then they have purchased something and you have delivered, what I want you to do is follow up a couple of weeks later. Once they have time to use what you have given them, send out a customer survey. You want to make sure that you are asking questions that will help you improve and let them know that you value their opinion. Step Five: Ask for the sale, again. Now the fifth step is the most important. Assuming you have done steps one through four properly and appropriately, step five will absolutely boost the lifetime value of your existing customer base because they are going to keep on buying from you. What I want you to do is take a look at a lifetime of your customer and take a look at three or four instances per year when it’s going to be appropriate for you to contact them back and ask for new business. So for example, it’s a jewelry business and you just sold them a custom engagement ring. After how long is it appropriate to ask them to come back and get that ring cleaned or repaired? It’s the same thing with providing a website or with landscaping, or even gardening. There is going to be intervals through the year where it’s going to be appropriate for you to touch base and ask them if you can help out depending on what is going on, on your business and in their lives. Determining the appropriate times to contact them, and the best services to offer, comes back to knowing your customer, knowing the cycles of your business and making sure that you have add-ons that you can offer throughout the year. Make a note in your calendar to follow up with this people whether it be over email or phone and ask them if you can continue to help them. That is how you generate more business from your existing customers!